Тема в разделе "HYIP от 16% до 60% в месяц", создана пользователем All-HYIPs.info, 7 янв 2019. The amount of 29.25 USD has been deposited to your account. Accounts: U1771411->U4836154. Memo: API Payment. 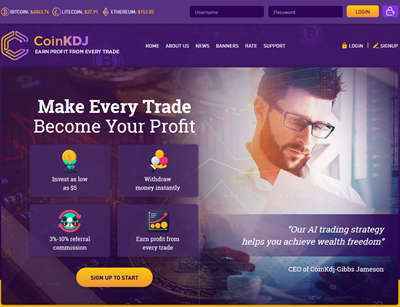 Withdraw to invdefence from CoinKDJ-Make Every Trade Become Your Profit.. Date: 11:15 14.01.19. Batch: 242683177. 04.02.19 04:25;Account;Receive;Received Payment 20.81 USD from account U1771411 to account U1294000. Batch: 245270071. Memo: API Payment. Withdraw to allhyips from CoinKDJ-Earn Hourly Profit Like an Expert. 03.02.19 18:09;Account;Receive;Received Payment 24.85 USD from account U1771411 to account U1294000. Batch: 245239023. Memo: API Payment. Withdraw to allhyips from CoinKDJ-Earn Hourly Profit Like an Expert.